The next original series from Nordic Entertainment Group (NENT Group), the dramatic thriller ‘Shadowplay’, will bring together high-profile international talent on both sides of the camera. 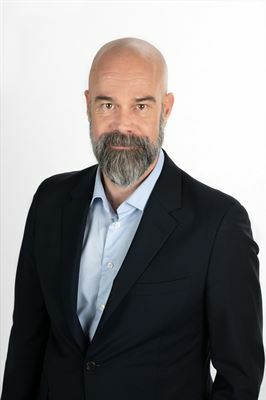 The 16-episode series, which will be told in two chapters, begins filming this month and will premiere across the Nordic region exclusively on NENT Group’s Viaplay streaming service. In the first eight-episode chapter of ‘Shadowplay’, American cop Max McLaughlin (Taylor Kitsch: ‘True Detective’) arrives in Berlin in 1946 to help establish a new police force in the chaotic aftermath of World War II. Max’s goal is to take down Engelmacher Gladow (Sebastian Koch: ‘Never Look Away’; ‘The Lives of Others’), the Al Capone of post-war Berlin, and to find his brother Moritz (Logan Marshall-Green; ‘Prometheus’) who is pursuing and killing Nazis who have gone into hiding. However, Max is unaware that he is being ruthlessly used as a pawn in the early stages of what was to become the Cold War. The cast also features Golden Globe-winner Michael C. Hall (‘Dexter’; ‘Safe’), Nina Hoss (‘Phoenix’; ‘A Most Wanted Man’), Tuppence Middleton (‘Sense8’; ‘War and Peace’) and Mala Emde (‘Brecht’; ‘Charité’). The series is created and written by Måns Mårlind (‘The Bridge’; ‘Midnight Sun’), who will direct alongside Björn Stein (‘6 Souls’; ‘Midnight Sun’). ‘Shadowplay’ is produced by Tandem Productions (Germany) and BRON Studios (Canada) in coproduction with ZDF (Germany). NENT Group is partnering with Creative Wealth Media, CANAL+ (France), CANAL+ Poland and NPO (Netherlands) on the series, which will be distributed worldwide by STUDIOCANAL TV. Filming of the first eight episodes starts in Prague on 29 April, with a further eight episodes planned to be filmed in 2020. NENT Group has now launched 40 original series and is set to premiere a minimum of 20 every year. ‘The Inner Circle’; ‘Darkness – Those Who Kill’; ‘Hidden’; ‘The Truth Will Out’; ‘Four Hands Menu’; ‘Pros and Cons’; ‘Conspiracy of Silence’; ‘Couple Trouble’; season one of ‘Rig 45’; ‘The Lawyer’; ‘Stella Blómkvist’; season one of ‘ALEX’; ‘Couple Thinkers’; ‘Occupied’; ‘Hassel’; ‘Peppy Pals’; ‘Superswede’; ‘Veni Vidi Vici’; seasons one and two of ‘Swedish Dicks’; seasons one and two of ‘The Great Escape’; and seasons one and two of ‘Black Lake’ have already premiered. Recently announced originals include ‘Box 21’; season two of ‘Rig 45’; ‘The Ambassador’; ‘Margeaux’; ‘Cryptid’; ‘Commando’; ‘Face to Face’; ‘Casper Conquers Norway’; ‘Honour’; ‘Love Me’; season two of ‘ALEX’; ‘Saga’s Stories’; ‘Cold Courage’; ‘Wisting’; and ‘Straight Forward’. As well as breaking Nordic viewing records, NENT Group’s originals are increasingly reaching audiences around the world. Amongst others, ‘ALEX’ has been sold to broadcast and streaming partners in Europe, Asia and the US; ‘Veni Vidi Vici’ has premiered on Hulu and is set for a US remake in partnership with Lionsgate; ‘Swedish Dicks’ has featured on Pop TV in the US; ‘Black Lake’ has been shown on BBC Four and AMC Networks-backed Shudder; and the upcoming series ‘Honour’ has been sold to RTL in Germany and to Belgium’s VRT. In January 2019, NENT Group announced a UK-based joint venture with award-winning independent studio FilmNation Entertainment to develop, produce and finance premium scripted television content for global audiences. Nordic Entertainment Group AB (publ) (NENT Group) is the Nordic region’s leading entertainment provider. We entertain millions of people every day with our streaming services, TV channels and radio stations, and our production companies create content that is experienced around the world. We make life more entertaining by telling stories, touching lives and expanding worlds – from live sports, movies and series to music and original shows. Headquartered in Stockholm, NENT Group is listed on Nasdaq Stockholm (‘NENT A’ and ‘NENT B’).